Oh what a crappy few days poor Noah has had. As most parents with a child in Nursery will know, Chickenpox seem to be doing the rounds at the moment and when Noah has managed to avoid it previously, this time he wasn't so lucky. Which is fine, better now than when he's an adult and they're supposedly worse - except for the fact he was due to fly away with my parents on Tuesday to their Villa in Spain. Noah woke on Friday morning and as soon as I greeted him I noticed the all too familiar (I'm a nursery nurse so I've seen a good few chickenpox in my time) yellowy blister on his neck. As I examined him and called for John I noticed around 10, which by the end of the day had multiplied to near 50. Que frantic phonecalls to and from my mother about what the best cause of action was. Saturday decided it for us, as Noah woke to be literally covered almost head to toe, his neck and torso seeming to be taking the brunt of it - the holiday was to be cancelled. Even as I said the words 'He wont be able to go on Holiday' to my mum on the phone, Noah echoed after we'd finished the call 'Noahs still going with Nana and Gangan on the holiday', my heart did break for him. Thankfully though, as it's my parents villa they're visiting, there was no real chain of deposits etc to lose, so they managed to rearrange the flights for the following week with Ryanair for free. Which has delighted Noah as we're now counting down the sleeps for him. It's just bad luck it came at this time for him, he's been so excited all year, especially as he is completely besotted with my Dad. We're lucky with Noahs Chickenpox as I've seen and heard of children being seriously ill with vomiting, diarrhoea and high temperatures, but Noah seems to have lucked out so coping with chickenpox hasn't been too bad for us. We're onto day 4 as I write this and some do appear to be scabbing over, so thankfully we can see the light at the end of the tunnel for him. We've been giving Noah calpol when we can tell he's feeling warm, calamine baths to soothe itching as well as administering Piriton. However I'll do a completely separate post on our tips and tricks. I'm now completely anticipating just as Noahs begin to fade - as long as he doesn't pick them and they scar, that Patrick will breakout in them. I'm dreading it for the poor little chunk as he's been through more than most already after having such a tough start in life. But we'll manage. That's what parents have to do right? 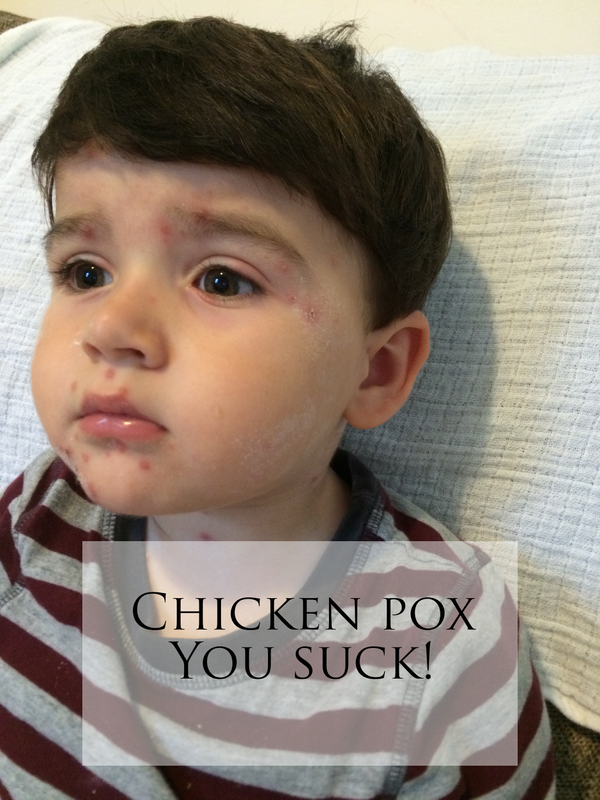 Have your little ones had Chickenpox? What a nightmare �� my little one had them a few months ago but you'd never have known, she was still loud and bouncy, I was like death on legs as I caught them �� Hope he's all clear now!